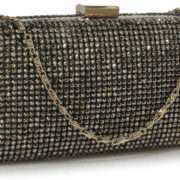 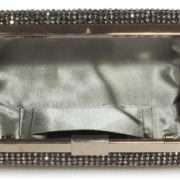 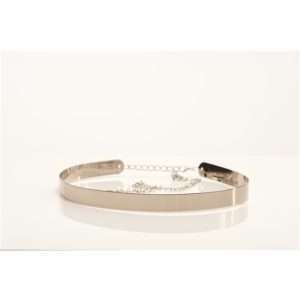 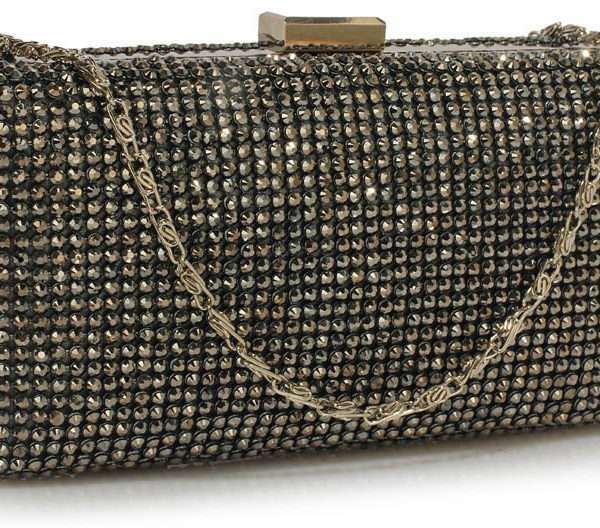 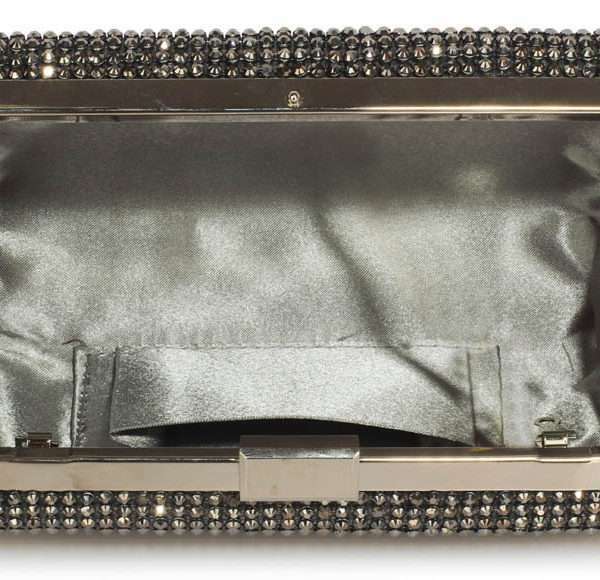 Miss Blush dark silver embellished clutch purse. 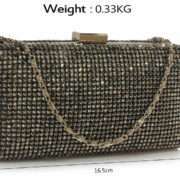 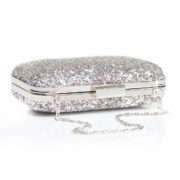 Get your bling on with this fabulous glittery bag that’s a great compliment to any outfit. 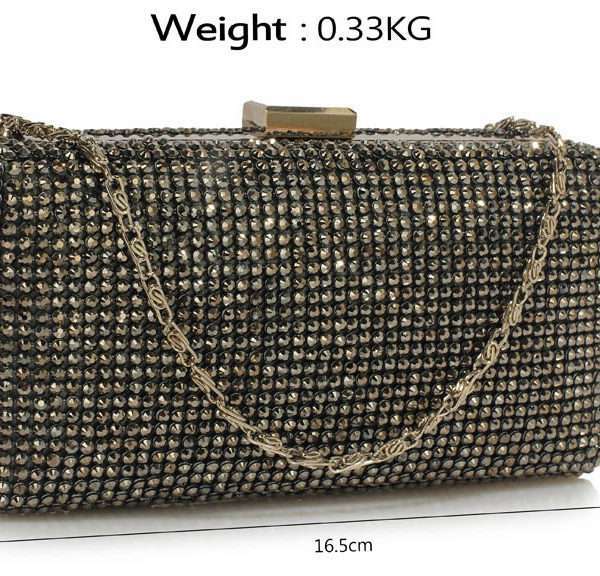 This little bag comes with a hand chain and a longer shoulder chain so you can decide how you want to carry it. 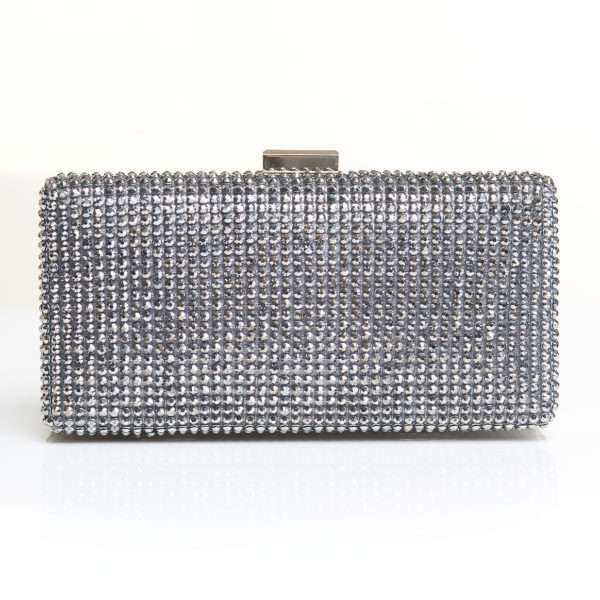 The crystals on the bag have a two-tone effect and give off a dark and light silver shimmer making it a very eye catching piece.